West highlights the many ways in which national and global institutions depend on a broader context of extra-institutional action or what is, in effect, the formative dimension of politics. He explores some of the major contributions of social movements: from the genealogy of liberal democratic nation-states, sixties’ radicalism and the ‘new social movements’ to the politics of sexuality, gender and identity, the politicization of nature and climate, and alter-globalization. The book also considers current theoretical approaches and sets out the basis for a critical theory of social movements. This is a fresh and original account of social movements in politics and will be essential reading for any students and scholars interested in the challenges and the unpredictable potential of political action. David West is Deputy Head of School at Australian National University. "This is an excellent book which, unlike many dull texts about social movements, actually relates them to two of the most important issues of the day, namely the 'crisis of politics' and the question of 'globalisation.' West does an admirable job in linking these issues and the end result is a much better book about social movements than most of the competition." 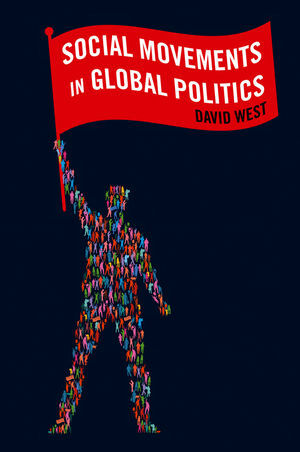 "Combining normative theory and empirical research, David West demonstrates the important role social movements have played and play in an increasingly global politics. An interesting read for social movement scholars and practitioners." "This is an excellent, timely and instructive guide to politics outside formal political institutions. At a moment when states – both democratic and non-democratic – reveal themselves to be desperately unable to manage prevailing economic, social and political crises, David West reminds us not simply that “another politics is possible”, but that it has always been there under the surface of established structures of power. Social Movements in Global Politics is an excellent resource for students and will stand as a leading text for many years to come."